Like most young kids who grew up in the nineties, I fell in love with Jurassic Park. I watched that movie at least four times in the theaters, at least a dozen times since. My favorite films, not all of them with dinosaurs, I still watch again and again. Some of the best films have a richness and depth that reward multiple viewings. It is a horrendous shame games are so rarely played more than once, or even to completion. 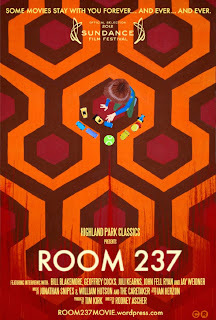 I recently watched Room 237, a strange and fascinating documentary entirely about Stanley Kubrick's The Shining. If you haven't seen The Shining, it is an adaptation of a Stephen King novel about a write who takes a job at a hotel, goes insane, and tries to murder his family. 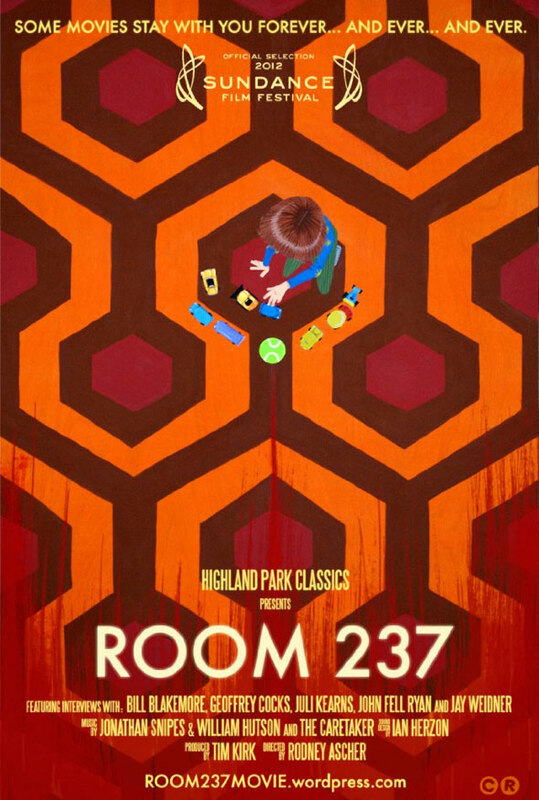 It is a brilliant piece of horror to be sure, but Room 237 offers several alternative readings of the film. The documentary is broken up into nine segments featuring film enthusiasts/conspiracy theorists discussing the many perceptions of The Shining. One interviewee believes the film is about the genocide of American Indians, another thinks it is really about the holocaust, yet another genuinely believes the film is Kubrick subtly confessing that he faked the first moon landing. At first, these theories seem outlandish. Did Kubrick really place a stack of papers in front of a character to make it look like he had an erection? I don't know. But after awhile, the ideas add up. Scenes are played back over and over, with different background information and oddities highlighted each time. Impossible rooms appear obvious after multiple viewings, along with other absurdities, like disappearing furniture. In scene, if you can quick enough to catch it, you can see Jack, the film's protagonist, reading an issue of Play Girl in the hotel lobby. Honestly, much of the film's oddities can be attributed to happenstance or simple continuity errors, but it is so much fun to dig into the stories. Take Shane Carruth's Primer as another example. It's a time travel film that, to my absolutely delight, does time travel right. The complexities of the film are deep and it keeps you thinking about, talking about it, and theorizing well after you've seen the film. Speaking of which, his next film, Upstream Color promises to be every bit as engaging. Of course we might not have a "Stanley Kubrick of games" to make something as repeatedly fascinating and intricate as The Shining. Indeed, it is hard enough in the industry for auteurs to have as much command over their product as Kubrick did. Indie developers lead the charge in this regard, but are often constrained by budget and must maintain a limited scope. 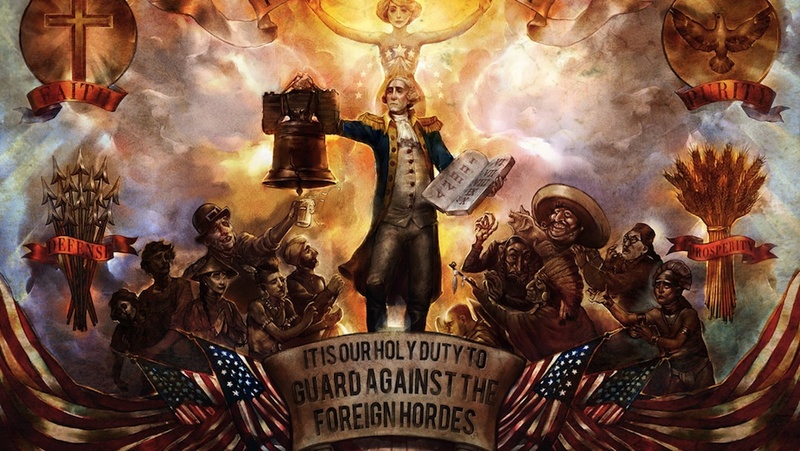 This is all, of course, a roundabout way of praising BioShock Infinite, which comes pretty darn close to achieving a daringly rich game world akin to The Shining. The themes are rich, drenched in both pop-culture and American history. The game is about memories, mythologies, regret, racism, capitalism, religion, and storytelling in both games and within our own minds. It is an astounding work of fiction. While the mechanics do not resonate as much with the deeper themes of the story, I do believe Infinite reveals a great deal of complexity that could reward multiple playthroughs. Like the first BioShock, it is a game that will be remembered. Already, players are digging deep into the events of the game and its predecessors, looking for clues. It's just a shame it takes so damn long to play over again. It's not just Infinite that aims to create depth in its storytelling. I might include Mass Effect into the bunch (remember the indoctrination theory?) as well as Dark Souls, which has all sorts of mechanical features that must be plumbed for meaning but hide an incredible amount of richness. These games offer something few others can: an world so rich as to lose ourselves conjecture and curiosity. Wonderful. I cannot wait to play Bioshock Infinite, as soon as my queue clears up. Any game that induces a comparison with Primer is a must-watch in my book. I agree with every word you wrote, Jorge, except for the offhand mention of the Indoctrination Theory. I can clearly see the parallel between Room 237 and what the fans tried to do with the Mass Effect ending - the problem is that while Kubrick encouraged reinterpretation of his work, Bioware not only gave us an original clear-cut ending for their story. After someone came up with the wonderful indoctrination theory, they went out of their way in the Extended Cut to absolutely disprove it. It's still weird to me that in arguably improving their original ending (they did, IMO) with the Extended Cut, they also tightened it so much that it stifled reinterpretation by the fans. Thanks for writing and sharing, Jorge. Thanks for the praise David! As for Indoctrination Theory, you're totally right. I put it in there more because it's a great example of players delving into a rich story. It was a theory that saw arguments going back and forth, and people were citing events that happened in the very first Mass Effect. It was amazing! And then BioWare had to come in and cap-off the series with a firm "Nope, that's not what happened." It'd be like Kubrick responding to Room 237 by telling everyone they were wrong. That being said, I'm somewhat mixed on this. I really hated when Jonathan Blow told people their interpretations of Braid were wrong, but then refused to offer what he thought was the correct interpretation. Likewise, too often ambiguity is just laziness or a shoddy attempt at creating buzz (eg: The post-credits stinger of BioShock Infinite. What a terrible idea). So I'm of two minds here I think. I like richness that stands on its own, but richness need not equate to mystery or ambiguity. I think the Mass Effect series, the whole thing and not the very end, is full of complex storytelling. While it might not reward conspiracy theories, it does reward in-depth examinations of the politics in the game, relationships, etc. But damn is it hard to play that series more than once.